The Technology sector has always represented an area of interest for investors. Actually, as we stated earlier, during the fourth quarter of 2013, three of the ten most popular stocks among hedge funds, have been technology companies: Apple Inc. (NASDAQ:AAPL), Google Inc (NASDAQ:GOOG), and Microsoft Corporation (NASDAQ:MSFT). During the previous month, hedge funds have been active and have increased or reduced holdings from their equity portfolios. Several of these moves involved technology stocks. In this piece we would like to take a look back and check out what have been some of the technology companies that hedge funds bought during March. 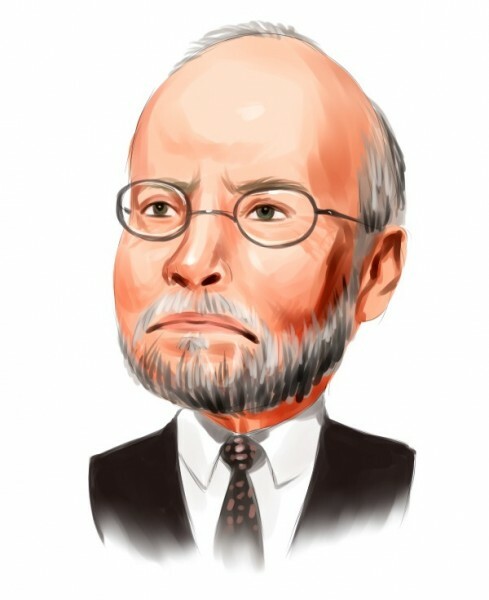 Elliott Management Corporation, led by Paul Singer, has around a third of its $4.4 billion equity portfolio held in the Technology sector. During the last month, Elliott revealed surging its position in Juniper Networks, Inc. (NYSE:JNPR) to 36.9 million shares, from just some 2.6 million held previously. In this way, Mr. Elliott currently controls 7.4% of the company’s stock. Moreover, Mr. Singer is planning to acquire Riverbed Technology, Inc. (NASDAQ:RVBD), and sent a letter to the company’s board accusing them of not pursuing the best interests for shareholders. The investor, which currently holds 10.5% of Riverbed’s outstanding stock, and plans to buy the rest of the shares for $21 apiece. Another hedge fund, John Lykouretzos‘ Hoplite Capital Management has been bullish on the photovoltaic energy solutions company Sunedison Inc (NYSE:SUNE). The fund has initiated a position in the company, which contains around 16 million shares, equal to 6% of the common stock. Billionaires Steven Cohen and Leon Cooperman are also fond of this company and held 12.80 million shares and 8.1 million shares at the end of 2013. RealPage, Inc. (NASDAQ:RP), an enterprise software company focused on the rental housing segment, has received some interest from Berkshire Partners’ subsidiary Stockbridge Partners, managed by Robert J. Small. Stockbridge almost doubled its stake in the company to 4.05 million shares, equal to 5.2% of the outstanding stock, from 2.16 million held previously. Bob Peck and Andy Raab‘s FPR Partners has picked up its position in ViaSat, Inc. (NASDAQ:VSAT) taking it to 4.81 million shares, from 4.55 million held previously. The new position amasses 10.4% of the company’s stock. ViaSat is a $3.2 billion market cap company engaged in satellite and other wireless networks. Last but not least, Altai Capital, a fund managed by Rishi Bajaj, Toby Symonds and Steve Tesoriere, has added slightly below 1.0 million shares to its stake in Vocus, Inc. (NASDAQ:VOCS), a small cap provider of cloud marketing software. Currently, Altai Capital holds 2.5 million shares of Vocus, which account for 11.6% of the stock. Altai has a relatively small equity portfolio, worth around $370.8 million, but around 70% of the portfolio are represented by Technology stocks.